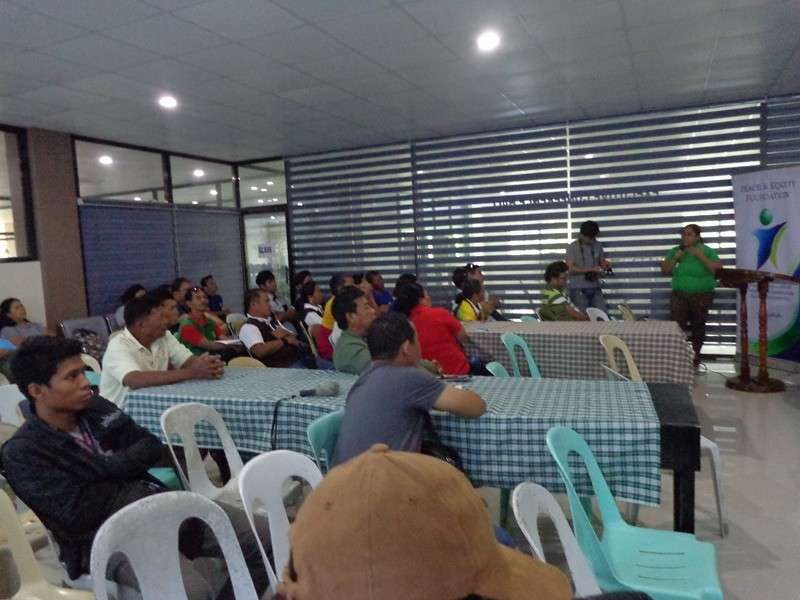 IT WAS a simple ceremony but Mario Tipan, chairperson of the Laak Multipurpose Cooperative (Lampco), felt like it was hope dawning on the farmers in the province of Davao del Norte. 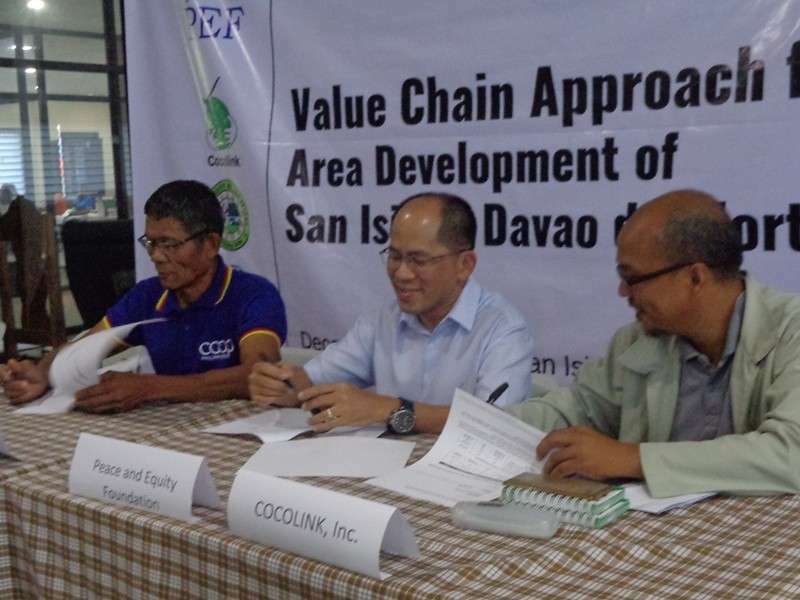 The project launching of the Value Chain Approach for Area Development of San Isidro, Davao del Norte that happened just recently was, for Tipan, a portent of good things to come as the price of coconut products recently dipped so low the farmers are groaning and losing hope they can still recover. Being chair of Lampco for 16 years, Tipan has seen only once when their local crops were more competitive in price. He said that it was only in the year 2004 after the town was formally created, that the Cacao products had its heydays. 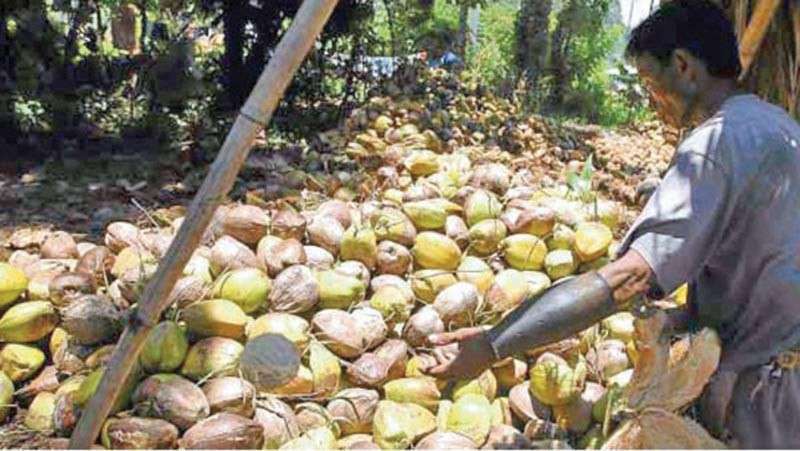 But to date, the farmers are groaning because of the imbalance they are feeling. Thus, the partnership between the Peace and Equity Foundation (PEF), Lampco and Cocolink was welcomed by the local farmers present during the signing of an agreement among them. In his speech, Dennis Omar Salvo, the Partnership and Programs manager, said PEF’s assistance aims to launch a project that will enable farmers to earn at least P100,000 per year. 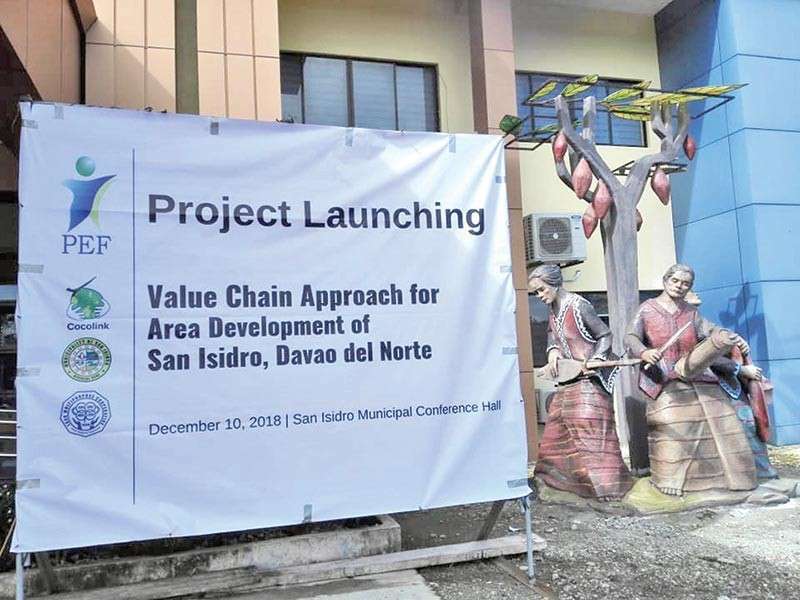 Touted as the “Value Chain Approach for Area Development of San Isidro, Davao del Norte," Salvo said that PEF is willing to invest P10 million pesos in this project, with P3 million that would be given as a grant, as PEF “is confident that the project will be effective with the support of partners” in the municipality. He added that the capital will mainly go to efforts of enhancing the farm productivity, provide production loan for initial 50 farmers, and over-all get improvements along the value chain. This was warmly welcomed by the farmers and various officials of San Isidro LGU represented by its Municipal administrator, Alan Deli-deli who have expressed optimism in this new development. Also present during the signing was Dr. Anna Cabarde, the representative from the office of the Department of Agriculture in the Province of Davao del Norte. Also present during the launching were Ana Notarte, provincial agriculturist of Davao del Norte, Dante Muyco of Chocolate de San Isidro and some municipal agriculturists.